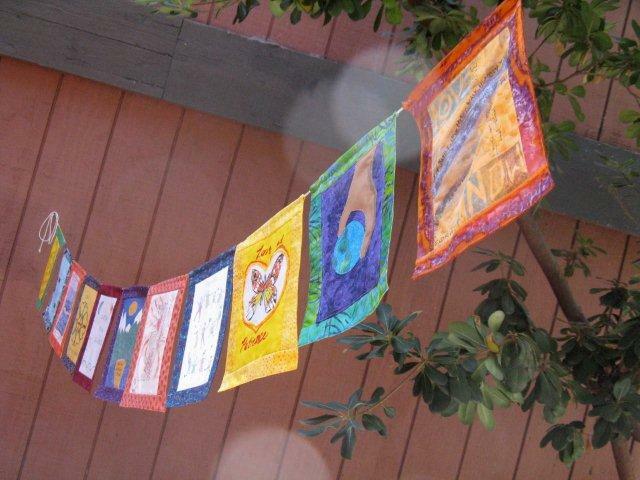 Bhavana Project Prayer Flags - 9/2008. Photo by Mary Roy. I had a fabulous time talking about prayer flags and the Bhavana Project at the Westside Quilters' meeting last Saturday. Interest was sparked which may bring some new participants, but mostly I just loved sharing the flags with a new audience. 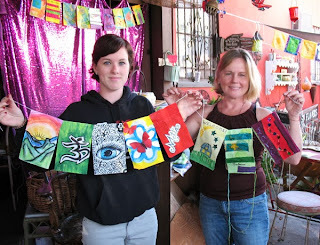 Bhavana Project Prayer Flags - 5/2012. Photo by Judy Warner. Workshop update: I will be teaching a mini Creative Circle Workshop on January 17, 2016 from 1:00 - 3:00 pm in Culver City. Stay tuned! I have been invited by Westside Quilters to give a brief talk about the Bhavana Project and prayer flags at their meeting this Saturday, October 17th. I am happy to have the opportunity to share the project. 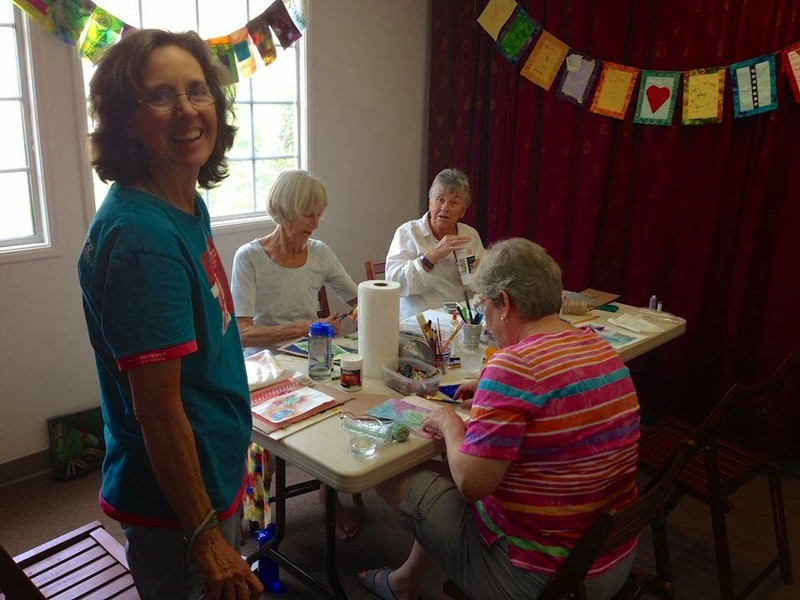 Thank you, Westside Quilters! Bhavana Project Set 1, 2006. Photo by Mary Cochran. As you may know, my journey with prayer flags began over 10 years ago. 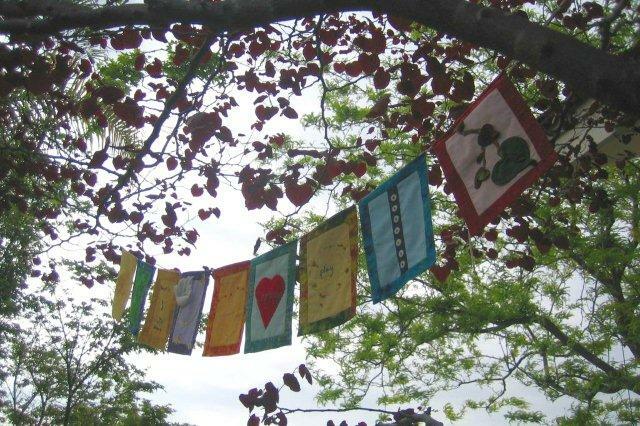 Inspired by Tibetan tradition of inscribing prayers or mantras on flags, I created the Bhavana Project as an ongoing group work to acknowledge the goodness in our lives. 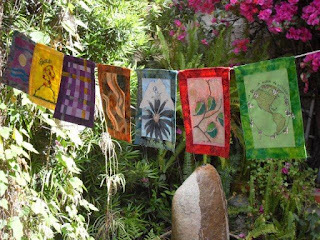 These flags cross cultural and spiritual boundaries, and are accessible to anyone. We are in currently process with the fourth set of flags. For more: the site. Bhavana Project Set 3, 2010. Photo by Elizabeth Dailey. 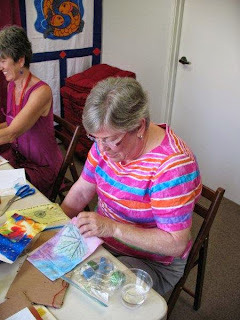 Westside Quilters is open to all quilters, and meets quarterly at St. John's Presbyterian Church at 11000 National Blvd, Los Angeles CA 90064. I am looking forward to the meeting! Do you like to plan ahead? The dates are set for the 2016 Creative Circle Flag Workshops at Threads of Awakening Transformative Arts Studio in Oxnard, CA. Are you curious about prayer flags?? 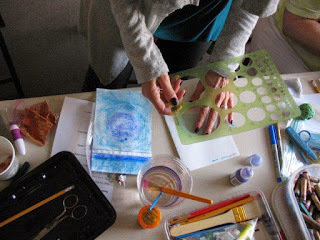 Join us on March 6th or July 31st for a relaxing and fun afternoon of creative play. Mark your calendars! 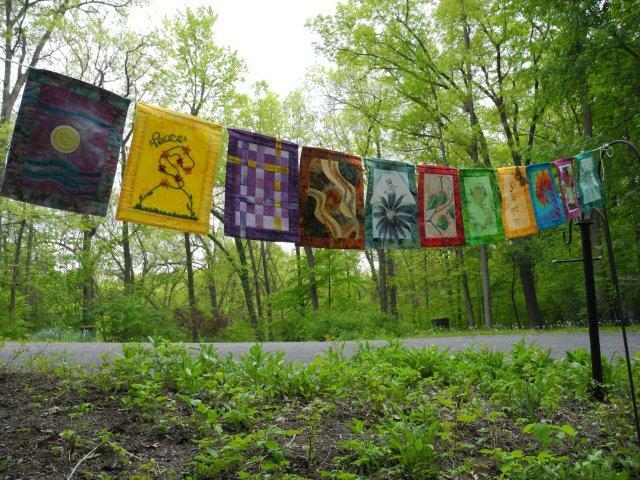 These will be wonderful gatherings!